Proposing marriage is the first of the many sacredly special moments in a person’s relationship. It is the story that will be told over and over again to friends and strangers alike. Now while everybody’s idea is unique in its own way, there are some that easily standout from the rest. So to help you write a story that your partner looks back to with fondness and wins you an engrossed audience every time, we have brought to you some pretty dandy ideas to present your engagement ring. You are most welcome to put your very own spin on them, but they are completely foolproof as is. If you are dating a kind of person who is fully relaxed in public as in her own space, then going down on one knee in a crowded place is not such a bad idea. In fact, if you can do it right, you will be sharing the joy and beauty of the moment with strangers who will happen to stand witness to it. The first thing to do to make a public proposal a tear-jerker is to choose a place of significance. You want to put adequate thought into this. A favorite place of hers or one where you two met for the first time sounds like the kind of place for something like this. You can however choose from other ideas like a hotel rooftop, a fountain side, a monument, scenic place or in the middle of nature in a state park. Appoint a string quartet, a brass band, a choir or a musical performer to eternalize the moment with some lovely melody. To make it more personal, you can ask the musicians to introduce her name in the lyrics. 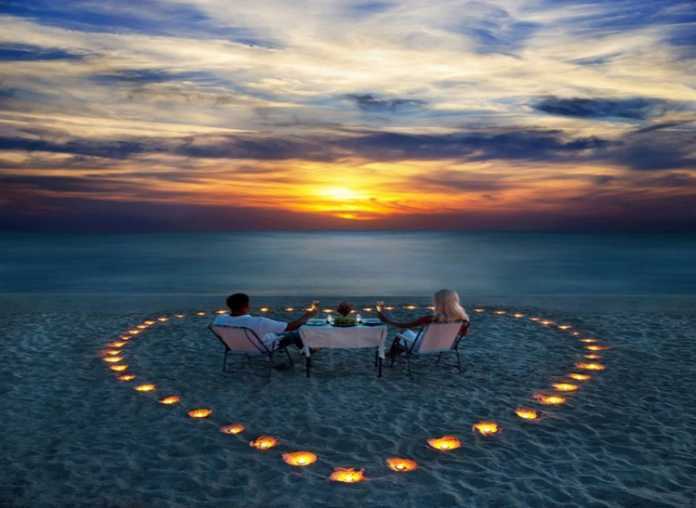 If you are looking for ideas that are more private, then proposing on a vacation is an excellent one. Call it clichéd but it works every time. Make it different by renting a Vespa and taking your would-fiancé for a ride. Slip in the box inside the helmet and in the exact moment she finds it, pop the question. Drive around the town celebrating. Are you the kind of person who is fully himself only in his own space? Then a proposal at home is the best idea to pursue. But, just because its home doesn’t mean it’s less special than the other locations. You can make your proposal exceedingly special even when the chosen venue is the place which you live in. Create a beautiful trail of candles through the house up to the room which is the chosen spot for the proposal. After sundown, turn out all the lights and light up the pathway. Create a circle or a heart if you are feeling up to it at the end of the trail. Here, plant the engagement ring at the center of a floral adornment and leave it waiting for its true owner to find. Take her by hand and walk her through to the stage, and after she finds her sparkle, make the proposal. You must be wondering what a homemade proposal is. Just like sometimes fine dining seems unappetizing next to a nice homemade meal at your parents’ place, every other flourish and grandeur falls apart compared to a bona fide homemade proposal. If you only want your closest friends and family around when you pop the question, then invite a small group for a weekend brunch, and have them each carry a helium balloon that carry a letter of the proposal. Let them come together to form the full message before you step in and pop the question yourself. If your partner is a true foodie, then you are in luck for there are so many brilliant proposal ideas for someone who enjoys food and drinks. Get a baker from her favorite local bakery to prepare a cake which has a frosting that says “Marry Me”. Put the cake out on display on the store front as you take her shopping. Present her the cake to reveal the engagement ring sitting in the middle of the frosting. For unique engagement ring ideas visit Diamonds-USA online diamond engagement rings store.